In 1944 the Walterboro Army Air Field became an advanced combat training base for fighter pilots. These fighters were primarily the African-American trainees graduating from the Tuskegee Army Air Field in Tuskegee, Alabama. Over five hundred of the famous Tuskegee Airmen trained at at Walterboro between April 1944 and October 1945. 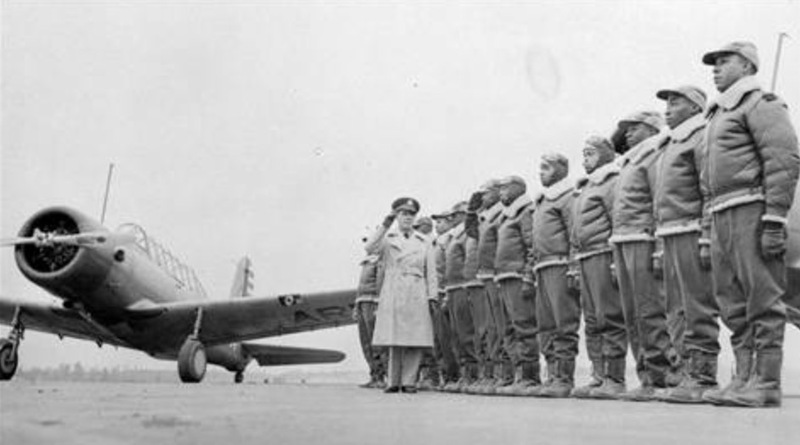 The Tuskegee Airmen were the first African-American military pilots in the United States Armed Forces. During World War II, many black Americans were still subject to the Jim Crow laws and the American military was racially segregated. The Tuskegee Airmen were subjected to discrimination, both within and outside the army, even though they were serving their nation. It did not stop their mission. Their teamwork, professionalism and their pride in service gave them high honor and caused a monumental shift of both thought and practice. They had broken a barrier that was previously thought impossible to overcome. It was a tribute to the power of team, vision, and the sheer willingness to “put up with the junk” for a bigger purpose. I thank God for those men who served our country and made a huge difference in the future of the social climate of the United States of America. As an organizational leader, I hope that you, like the Tuskegee Airmen, can capture a bigger vision of service. And furthermore that you are willing to train the team, “put up with the junk” and follow through on the mission before you. Too many leaders are trying to change organizational culture on their own. It doesn’t work. You need a team of unified, highly trained warriors to make the difference. If you will put that team together, train them to fight, and empower them to lead… no barrier will be left unbroken. In the early 1900’s, the Ritz Carlton group had many hotels scattered throughout the United States; Boston, Philadelphia, Pittsburgh, Atlantic City and Boca Raton. However, by 1940 only the property in Boston remained. The reasons for the Boston Property’s survival are the same reasons it became the standard for all other Ritz Carlton properties that followed. It revolutionized hospitality in America by creating luxury in a hotel setting: It placed customer satisfaction as the highest order. Systems were aligned and Amenities purchased that afforded guests the highest level of satisfaction in their hotel experience. Once that service was perfected, other properties followed. Each holding to the standards that the Boston property had modeled. From one leader to another, let me ask you… Is there a deep standard of excellence in your organization? Are your Guiding Principles centered around the customer or the organization and her employees? Is your commitment to excellence genuine or is it a general rule? You do not become the best you can be organizationally without high standards for excellence. Furthermore, those standards must be non-negotiable. 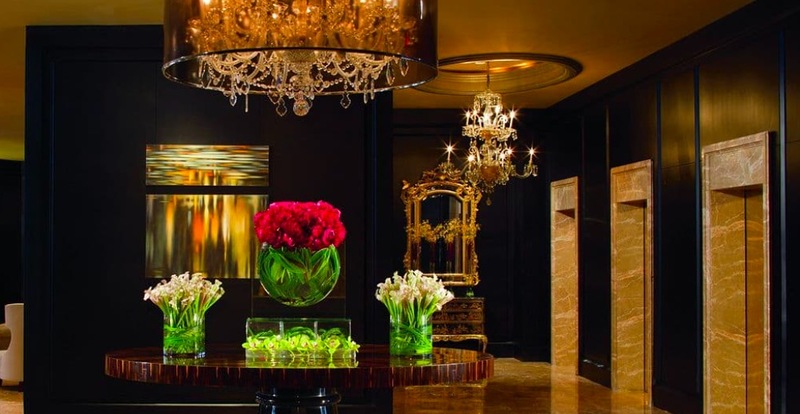 The Ritz Carlton has an impeccable reputation and it is because it’s standard for excellence does not waver. Consider this one profound question? What is said of your organization after one first encounters it? Answering that question accurately can bring transformation to your organization. Growing up in Southern California, I have very fond memories of the many summers spent at Disneyland. 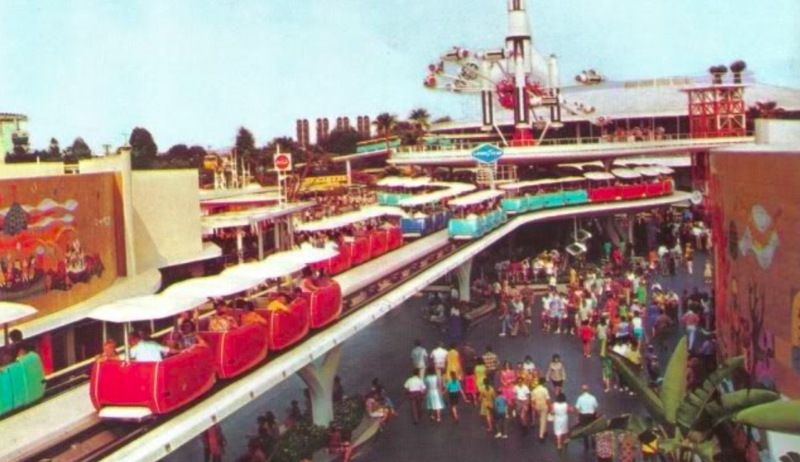 One of the old school rides, that is still there today, is called the Peoplemover. Its job was to move people on a slow paced journey around the second-floor observation areas of all the rides in Tomorrowland. These memories remind me that at the end of the day, leaders have much the same responsibility as the Peoplemover at Disneyland. In fact, leaders are peoplemovers and our future is Tomorrowland. We have the responsibility to bring people to higher levels of personal skill-set and introduce them to the future of what they can be, and how their role fits into the big picture of what the organization can be with them as a vital part of the whole. There are many ways that a leader must move their people to proficiency, but I want to discuss four of them with you here. The First: Moving your direct reports from Low Awareness to High Awareness. What is the big picture for your organization? How do they fit into the big picture? How aware are they of the importance of their role. As the leader, you need far more than mindless drones in your organizations and if that is how they are currently operating you’ve no one to blame but yourself. The Second: Moving your people from Rigidity to Flexibility. 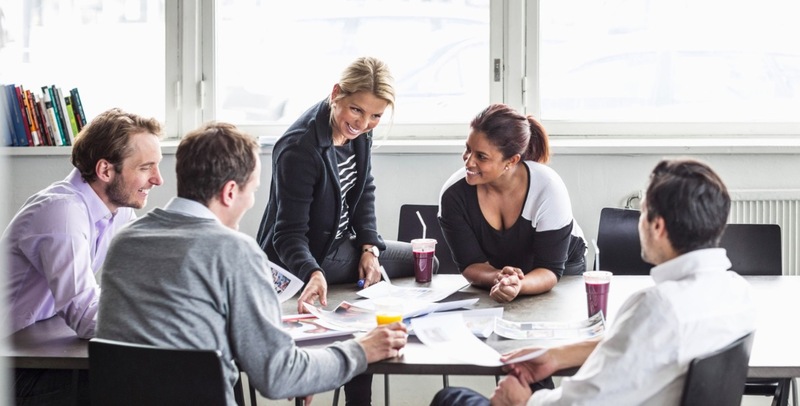 As the most valuable assets in your organization, your people need to be flexible. Mid-level managers or direct reports that are inflexible serve as a hard stop for the forward momentum of your organization. Building flexibility allows quick change and retargeting during shifts that would otherwise cripple your momentum. The Third: You need to move your people from Adequacy to Expertise. Inside many of your best people is a creative monster itching to break free but you allow them to continue in the status quo without challenging them to think or act differently. What new seasons of growth are you missing because the environment that you have created is not conducive to ongoing learning and growth? And Finally: You need to move your people from Isolation to the Dynamics of Team and the feeling of worth found in an organizational family. Forcing, or even allowing, your people to work isolated from the team is detrimental. Iron sharpens Iron and ideas incubate as organizational relationships are built. Not to mention the attitudes, health, and longevity of your people will be greatly increased. And that, is always a benefit to the organization. Oh, and next time you are at Disneyland, make sure you ride the ride, it’s not a roller coaster, but it is a unique way to see Tomorrowland. Here’s a quick video I shot in the Concierge Lounge at the Renaissance Hotel in Long Beach California. As an Organizational Leader you cannot underestimate the power of ongoing, informative communication. Once positions are taken, assumptions are made, and tensions solidified, the results can be disastrous. I was reminded of the importance of ready communication on a recent trip to Waco Texas and a visit to the location of the FBI’s siege of the Branch Davidian compound. If you study the history of the Branch Davidian Siege, individuals on both sides of the conflict desperately tried to facilitate communication because they recognized the tragic path that both parties were on. Their words fell on deaf ears. Because conclusions had been drawn, plans of action had been made and the tensions were so high that no amount of talking could deescalate the situation. It had past that critical moment where the tragedy was destined to play out and no individual, no matter how skilled, had the power to stop it. The Result: 82 Souls perished. 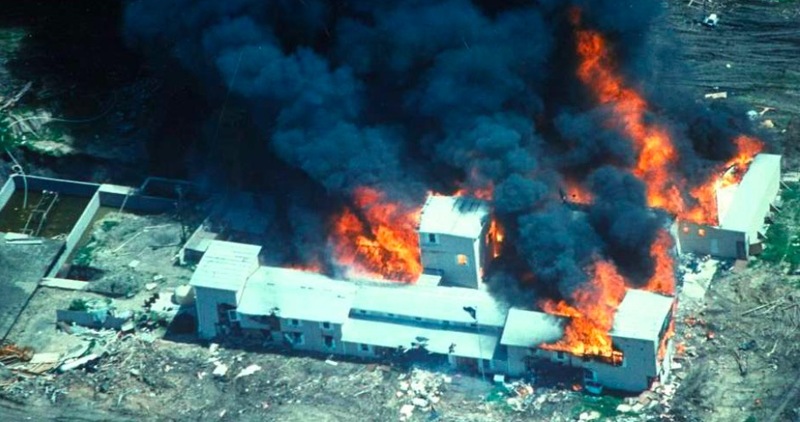 76 Branch Davidians were killed, of whom, 34 were women and 23 were Children along with several Federal agents. The massacre was a true blight on American history and case study on Liberty and Federal overreach. Furthermore, it’s a lesson in the importance of communication that cannot be ignored. For the leader, reflection on this event is very important. Fostering an environment of open and transparent communication is paramount to organizational success. It is inevitable, that within your organization, issues will arise that if swept under the rug will fester until the point they become irreconcilable, and your organization will pay the price. Begin with your leadership team, make sure they know they can tell you anything and that you will listen. Furthermore, that whether you agree with them or not you will hear, consider, and respect their opinion. Then, as you model that quality, encourage and train them to be the communication facilitators for the remainder of your people. The “stand offs” that you avert will keep you healthy, thriving, and moving forward to become the best organization that you can be. Here is a Leadership Minute video that I filmed at the Branch Davidian compound in Waco Texas. Sometimes leaders are their own worst enemy. These four common decisions undermine any leader and should be avoided at all costs. Making decisions quicker than they need to be made just to clear the slate. Think for a day or two on the important decisions. Making a decision without a creative pause can be detrimental. There are things you cannot possibly see within the tyranny of the urgent. Avoiding the big long term decisions. Long term decisions need to be made, the smaller decisions will align themselves with the big picture. Without the big picture, the small decisions can take you off the path. Treat small “off path” decisions as new potentials to be explored later, but stay focused on the big path. On the big picture. Seeding the conversation where creativity is needed. To utilize the creativity of the team, let the team dynamic take you into unexpected territory. If you seed the conversation with your ideas, you will limit the dialog and kill the creative spark that a group dynamic brings. This is a common mistake that I see leaders make all the time. Criticizing a team member among their peers, individually or in a group. You are the leader, your job is to make the most of the talent in the room. If you undercut an employee you will stifle every other employee that might otherwise do something bold of different. There is no better way to assure the status quo than to stifle creative thought through criticism. I filmed this earlier in the year while staying in Long Beach. Here’s the video. Published in Star News, a publication for Law Enforcement personnel. How many times have we asked that question of someone? How many times have we asked ourselves; “Why did I behave that way?” When we begin to look into the specifics of how we handle these questions in our personal relationships, something very interesting happens. Those two questions come from two very different perspectives and once you realize where they are coming from you are more able to understand and correct unhealthy perceptions about yourself and others. Allow me to explain. It starts with the difference between human behavior and human nature. When we see less than admirable traits in ourselves, we tend to attribute those to external causes and explain behavior away because of the influence of that cause. For example, “I blew my top because that guy would not listen to what I was trying to say!” In other words, I behaved badly because of an external influence acting upon me… He caused my reaction. We rarely explain other people’s behavior in that same way. Call it an excuse, a reason, a justification, call it what you will, but we fail to extend that same reasoning to another’s behavior when they act contrary to our expectations of them toward us. We sometimes fail to see the external causes and wrongly attribute the reaction to their very nature. We superimpose their action on what we perceive to be the way that person truly is. This is most unfair. Put simply: When I am mean to another I am really a nice person who’s behavior is mean because of something they did to me, but when someone is mean to me it is because they are a mean person.” Get it? Our actions are simply bad behavior, but their actions stem from their bad nature. We do it all the time. We do it to our spouse, our co-workers, our superiors and we do it on the street. “It’s their nature.” They are not behaving in an evil way; they are evil. They are not behaving aggressively; they are animals. The shift is subtle but destructive. What we explain away in our own lives through grace given to self, we should learn to extend to others in grace given to them. We have all come to learn that when you give respect on the street you get respect on the street. The same should apply to our view of people’s nature. Much of life is cause, effect, and reaction. I would hate for others to view me at my worst and attribute what they witness to who I really, deeply am as a person. In 2008 I was in Lima Peru with my brother Robert. We had met there to continue on to Cusco and eventually hike the famous ruins at Macchu Pichu. While in Lima, we made our way to the coastal suburb of Miraflores. We spent significant time seeing the sights and walking the famous cliff-side Larcomar shopping district that overlooks the historic La Rosa Náutica restaurant on the pier hundreds of feet below. Anyone familiar with the area knows that to the north is the beautiful Parque de Amor (Lover’s Park) and just beyond that lies one of the most spectacular views in all of Miraflores, the cliff-side park at Parapente. Standing there, in awe of the view, I had no idea that two years later I would find myself leaping from the two hundred foot high cliff on the southwestern edge of the park. Like all cliff-side parks, this spot offers spectacular views of the ocean, the island in the distance, surfers that look like little bubbles on the water two hundred feet below, and the sky. Oh, the sky! The view of the sky here is amazing. There on the cliffs of Parapente you understand how small and how fragile you really are. In fact, the sky that you see from that place is unlike any sky you will ever see in your lifetime; It is riddled with paragliders. You see, the winds that rise from the two hundred foot cliffs can raise a paraglider to over one thousand feet without effort, making this one of the foremost paragliding spots on earth. It was amazing to watch the ease with which these daring men and women became a strange subclass of Aves. The wind would pick up these birds, and in what seemed a choreographed dance of wonder wove them, in and out, over and under one another in a ballet of spectacular color. It is a wonder to behold. As leaders, we must remember that when we have the necessary skills to lead, from the outside our leadership can look choreographed and beautiful. Like the paraglider finding the balance in the wind, his own presence in the mix of others, and the sheer magnitude of the environment our leadership can be organized and beautiful. However, like the paraglider, if any one element fails, the ballet becomes a tragedy. Loss of wind, loss of any one other glider’s sense of presence and location, these things can change the makeup of the environment to be hostile or even deadly. Standing on that cliff, that beautiful ballet of color reminded me of how an astute leader has the ability to balance all the elements found in his or her organization and create a thing of beauty. There I was, on that same cliff at Parapente, nervous yet excited as I waited for the wind to pick up so that I could paraglide for the first time. I had been here the day before, waiting. No wind, no ride. This was my last opportunity, I was leaving for home tomorrow. The wind, though the wait was excruciating, eventually cooperated. I stood there after having paid my $35 and thought, “What on earth did I just do?” The apprehension grew a bit as they placed a helmet on my head and I told the pilot my weight. He gasped as he calculated the conversion to kilos in his head and I saw his countenance change… Not reassuring! I guess the wind was not strong enough for a 225lb., 6’-4” gringo. He hemmed, he hawed, he looked down at the $35 in his pocket and said, “Well, we can try!” … “Wait a minute… WHAT!” Clearly, he was not going to give back my $35 so that left only one option… Pray and GO! So there I stood, fifty yards from the cliff with my pilot strapping me into a harness that is attached to the biggest kite one has ever seen. I remember looking at the cliff fifty yards in front of me, and thinking one solitary thought, “Like this helmet is going to help!” Then, he tapped me on the shoulder and yelled, “Run!” Hesitant, yet obedient, I ran toward the two hundred foot cliff hoping that the drag I was feeling was the fully inflated glider behind me. There was no way to know. This was one of the few times in my life that a non-spiritual experience brought the diametrically opposed feelings of dread and tranquility and slammed them together in an instant. Running off that cliff, and the tightening of my harness signaled the beginning of forty-five minutes of elation, beauty, and indescribable wonderment. During that forty-five minute journey we ascended to over five hundred feet, smoothly traversed every manmade obstacle, mountain and valley within miles and above it all, the view was spectacular. There was not a hint of pre-Parapente fear. Once the final step was taken, the ride was bliss (the landing, however, was a bit less graceful). Looking back at that experience I realize how many things could have gone wrong and I would not have known what to do. I was privileged to participate in a grand adventure that was only made possible by a highly skilled and trained pilot. As a leader, you must remember that at times your people will experience the fear of the unknown as they try to go with you on your journey. They must learn to trust your expertise and experience. As you sharpen your skill set and grow as a leader, you will instill trust in your abilities and provide excitement for the adventure. However, the trust of your people is paramount. Had I not trusted my pilot that day I would have feared for the entire forty-five minutes of my flight. But because I trusted both his judgment and his skill set, I experienced a life changing, smooth flying adventure. Was there risk even though the pilot was skilled and trained? Absolutely. That is the way of leadership and that was the reason for the helmet. Not every decision is going to play out the way you anticipate that it will. Some—by luck—will gain altitude, but many of them will plummet. This fact is the reason why it is so important to constantly refine your leadership qualities. Either train and train hard or get off of the cliff! If you are an insurance company or a personal injury lawyer, listen up. Your world is about to change. Your best bet over the next 10 years is to learn from the typewriter because your industries are about to fall even harder unless you make an intentional shift. Yesterday! What are the ramifications of the next decade you ask? No more small lizard-like creatures telling us how to transform our financial status in fifteen minutes or less. No more phone numbers of all sevens or nines on billboards across America. No more free maps at AAA, and ouch… No more Flo. How shall we live without Flo? Because the key to future success is forecasting market shifts well in advance and the automobile industry is about to radically change. Autonomous cars will change everything and the closer an industry is to the auto industry the more urgent the need for introspection. Automakers that fail to have an autonomous vehicle will disappear overnight or be relegated solely to niche markets. And while there is no excuse for an automaker caught unaware, there will be several other industries that will be saying; “I didn’t see that coming! ?” Chief among them will be the three I mentioned; insurance, driver support, and legal. That’s the great thing about entrepreneurship, it makes life better. With the imminent perfection of autonomous vehicles, personal auto insurance will fade away. Accidents will be so uniquely rare that insurances will be bundled with the vehicle akin to today’s extended service plan, that is if they exist at all. Law firms that guarantee customers huge payouts for vehicle injury will slowly fade away and in a third degree of economic impact affect the billboard advertising market outside of Las Vegas Nevada and every other big city littered signs of intense looking lawyers with easy to remember phone numbers. The world is going to change. What’s the point? Your sector is going to change also. Will you be reactionary or proactive? When was the last time you gathered the team and asked these important questions? What don’t we know that we need to know? What trends are in our industry right now that could develop into trouble for us? What trends in a related industry could adversely affect ours? What does our organization look like in 5, 10, 20 years? Does it exist at all? Who are the industry leaders and what are their strategies? What steps must we immediately take to mitigate the damage? You need to think about the transformation of the service or product that you provide. Once you forecast what developments and dangers the future has in store, go back and think some more. In our example of the automotive industry we can easily see how the changes mean a radical new reality for related industries. But, what if we take it deeper? What happens after cars are completely autonomous? I think I know. I believe we will probably, eventually, see the end to personal vehicle ownership. You will be able to take any car, to any place, at any time and conduct life along the way. Now, think about the industries will that affect. Regardless of what you think, if they are not participating—or see your organization as an important part of their experience—then you are not relevant. People are drawn to that which adds value to their life experience. However, people are needy and we can lose focus if all we try to do is appeal to their needs. As leaders, we must have a deeper sense of what is needed, and that can only be found in quality time under the organizational hood. Finding that balance—between what they want and what they need—is not easy. In fact, the pursuit of that balance has rocketed some organizations to the stars and destroyed others. One of the most helpful ways to discern whether or not your organization is one of value to its members is to ask; “Who is the client?” If your organization is the client, you’ve got a mess on your hands. With the organization as the client, difficult times are ahead. Examples of the Organizational Client might be a church that sees the member as an asset of the church and not as the church itself. It sees the member as a means to an end. The member’s value is found in their finances, their participation, and the numbers they bring to the organizational statistics. They assure that the leader gets his paycheck and that the lights remain on. Once an organization moves to this mode—one of survival and loss of identity and mission—the path is difficult to reverse. The leader can no longer chase his passion because he is chasing his pension. Another example of this is a member association or convention that looks to its member organizations to sustain and promote the events of the association/convention. This places the association or convention in competition with the client. What member of an organization is going to participate in an event that competes with its own interests? We have all witnessed businesses that have lowered product quality, replaced ingredients without health considerations, reduced customer service options or quality while retaining or increasing prices. When the organization is the client, something gets lost. 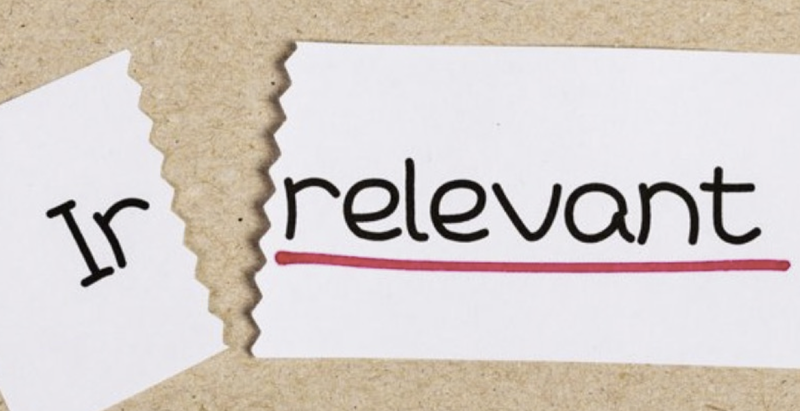 The key to relevance is making the member the client. The majority of your mobilizations are for their benefit, not yours. Remember, “for their benefit” is much different that doing what they want so that they feel good about you. Healthy people will see value in doing what they need to do to grow, even if they do not like to do it. From the example above, a church that loves its members and does everything it can to educate them in the truth adds value to its members. This type of church holds to their vision, speaks the truth in love, and provides the members with the necessary tools for success. This enables them to hear the message and take steps to implement what they know needs to be done in their lives. Seek the success of others, and by that act, succeed yourself. Serving the client rather than your own organization always builds value and relevance.